Retrieve a relic from a forgotten temple hidden in the forest in this one-shot level 7 adventure. A review copy of “The Starlight Relic” was provided by the publisher. 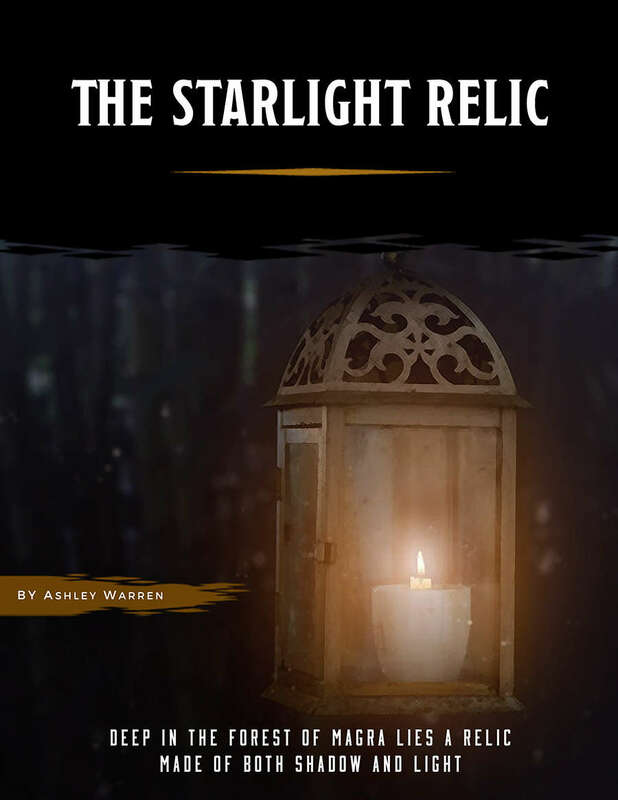 “The Starlight Relic” is the third adventure in Ashley Warren’s “A Requiem of Wings” series, but you needn’t have played or read the first two to understand this one (and I confess, I have not). The adventure stands on its own as a self-contained artifact retrieval mission for level 7 PCs, with an excellent mix of puzzles, combat, and social encounters. The PCs are summoned to the town of Magra by a wood-working merchant and musician, Vela Kapra. Vela has recently discovered the location of an important artifact, the titular relic, capable of repelling both celestials and demons. That’s a powerful thing to have when your city lies in the middle of an ongoing war between angels and demons.